#relationships is a stand-up comedy and verbatim theater showcase, presented by the Coppell High School Studio Premier classes, and also contains mature content. This showcase is tonight at 7:30 p.m. at the CHS Black Box Theatre. 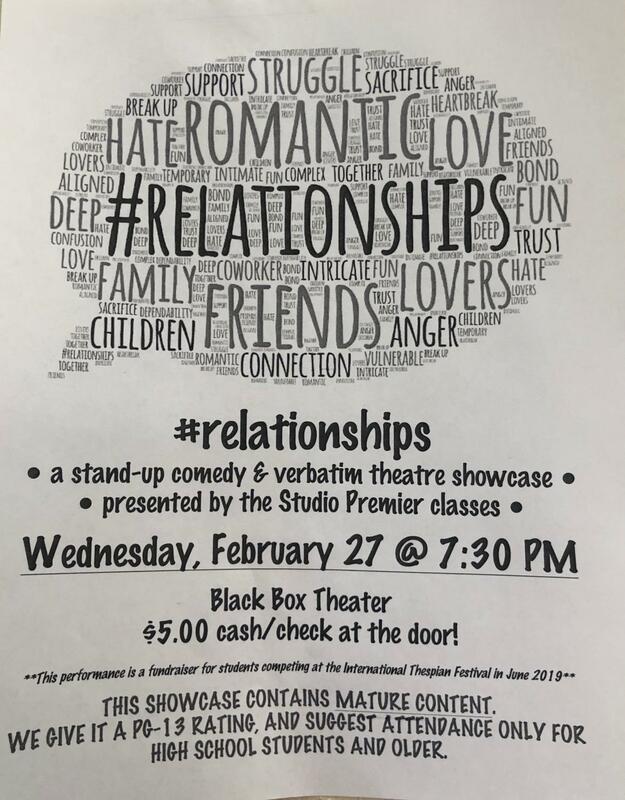 On Wednesday, the Coppell High School Theater Studio Premier classes perform their show, “#relationships”. Featuring both original stand-up comedy and verbatim theatre sets, the show takes audiences through several comedic skits dealing with relationships between friends, family, deities and more. All pieces are taken from the students’ real life experiences. #relationships is a fundraiser for the department and those students advancing to the next level of the International Thespian Festival in Lincoln, Neb. Out of the 19 competitors, 13 qualified, and nine will be attending. 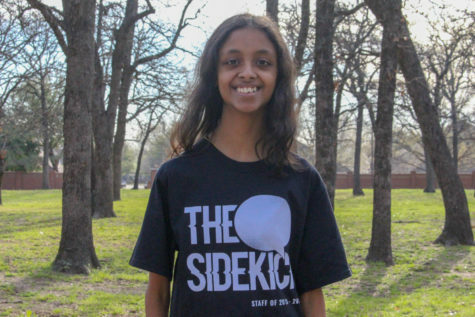 The profits will go to the students to allow them to experience the weeklong event. During intermission, concessions will be available for purchase, and guests can enjoy surprise entertainment. While the show is free, there is a suggested donation of $5 at the door. Show starts at 7:30 p.m. in the CHS Black Box, found at the end of F hall. 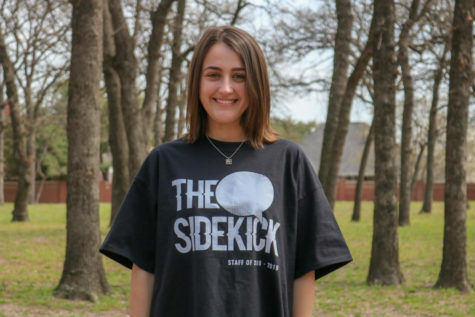 “Come support us so [we] can go to internationals and represent Coppell High School,” Smith said.